McDonald’s trial vegan burger – would you buy it? The fast food chain has announced they are trialling a new item for their menu in Finland – a vegan burger. McDonald’s has never held veggies in terribly high regard. It literally serves no sandwich that’s vegan-friendly for any meal of the day, and you get the feeling it’d still be frying potatoes in beef fat if not for a class-action lawsuit. Also, there was that time it made a “kale is dumb” joke (which has since backfired). 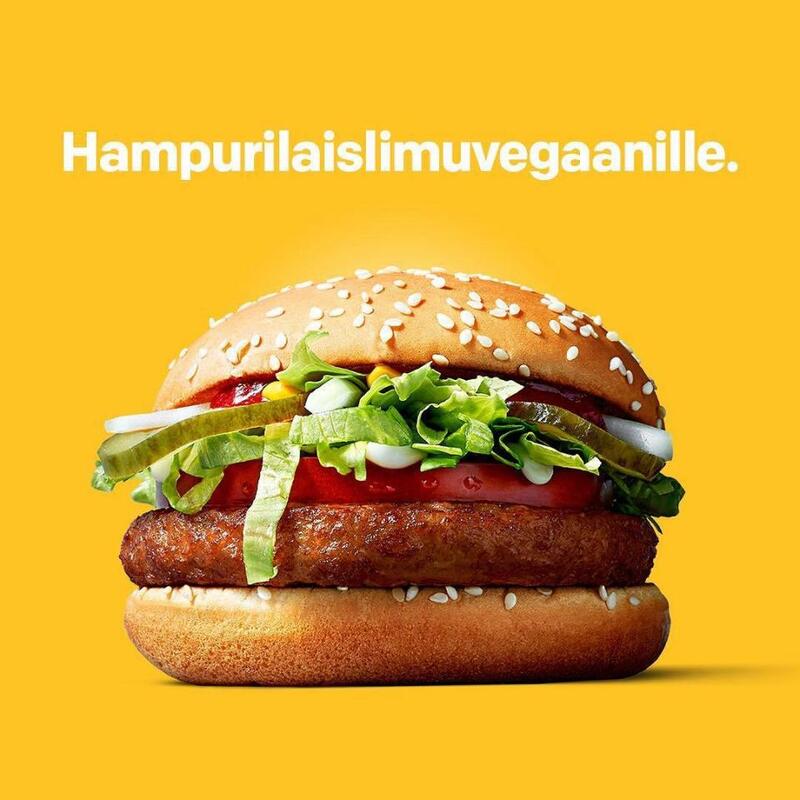 But now McDonald’s has launched the new product in Finland, which is appropriately called the McVegan, with the aim of testing if the plant-based item proves popular. The McVegan is a soy-based patty nestled in a bun with lettuce, onions, ketchup and mustard and has already caused McDonald’s fans to go wild. Customers who have been lucky enough to get their hands on the McVegan burger have been eagerly sharing images of their meals online. One lady claimed she had boycotted the brand for over 20 years, but the new plant-based burger had changed her mind. McDonald’s locations in Finland already have several veggie items their American counterparts lack, including something very hearty-sounding called the Kasvis Feast (kasvis is Finnish for “vegetable”). Sadly there is one catch for fast food fans excited by the news – it is initially only available in Tampere, Finland from October 4 to November 21. McDonald’s have also said that it has no plans to bring McVegans to the States.